Perfluorelastomers (FFKM) have a fully fluorinated polymer backbone resulting in fluorine content of over 71%. As all of the bonds on the backbone are carbon-fluorine then FFKM materials offer the ultimate thermo-chemical resistance shown by the good long-term high temperature compression-set resistance. This is demonstrated by the good longterm, high-temperature, compressionset resistance. Although all FFKM polymer backbones are fully fluorinated the cross linking systems used to join the polymer chains together differ significantly, resulting in differing temperature and chemical resistance. 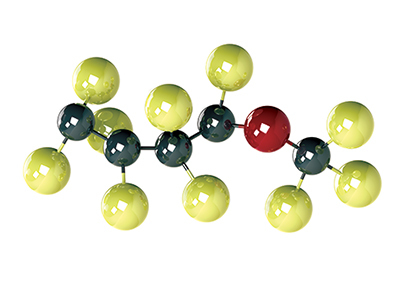 DuPont™ Kalrez® perfluoroelastomer (FFKM/FFPM) parts resist over 1,800 different chemicals, while offering the high temperature stability of PTFE (327°C). They’re used in highly aggressive chemical processing, semiconductor wafer fabrication, pharmaceutical, oil and gas recovery, and aerospace applications. The long-term, proven performance of Kalrez® parts can mean less frequent seal changes, repairs and inspections, increasing process and equipment uptime for greater productivity and yield. Kalrez® parts and seals also help prevent semiconductor process contamination by reducing particulates, lowering extractables, and resisting degradation in harsh plasma. Kalrez® parts provide low outgassing in vacuum-sealing applications. FDA-compliant seals are also available for food, beverage or pharmaceutical processes.